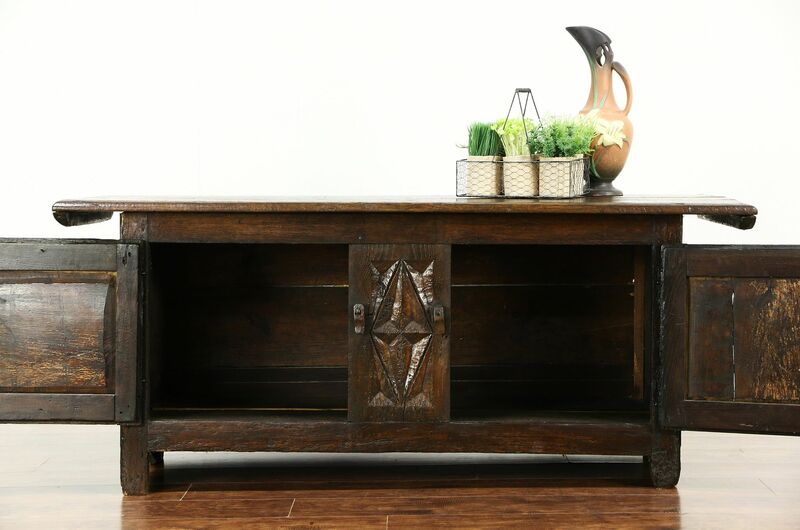 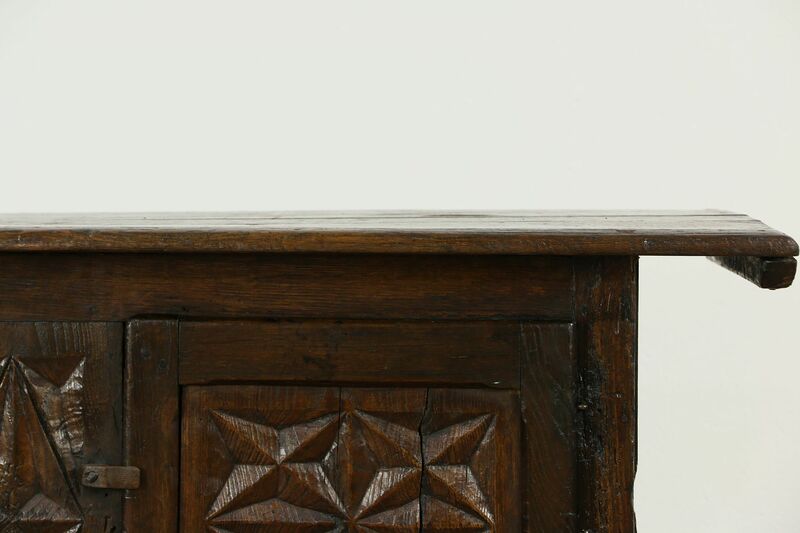 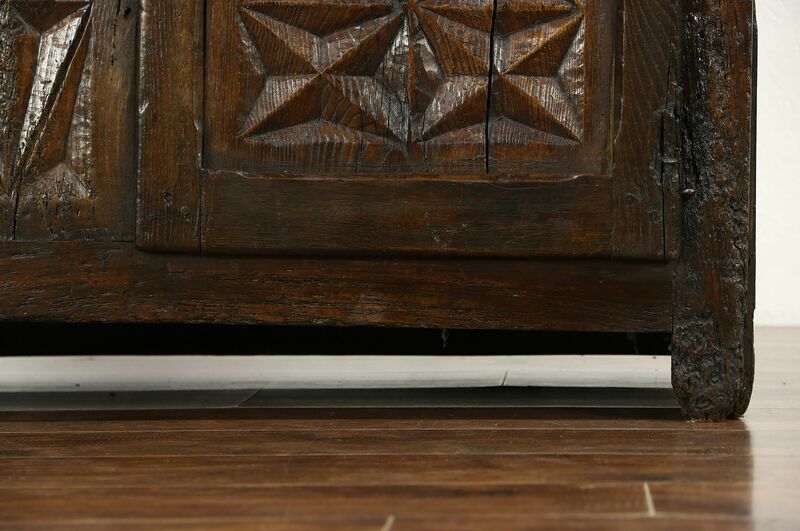 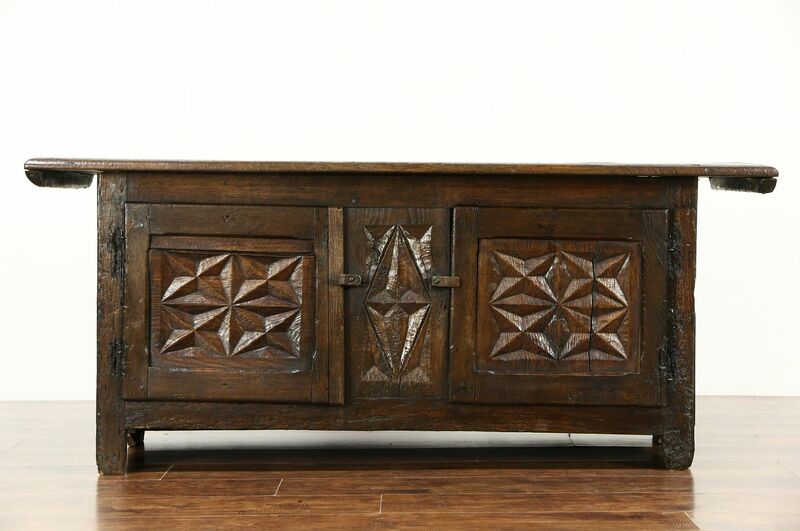 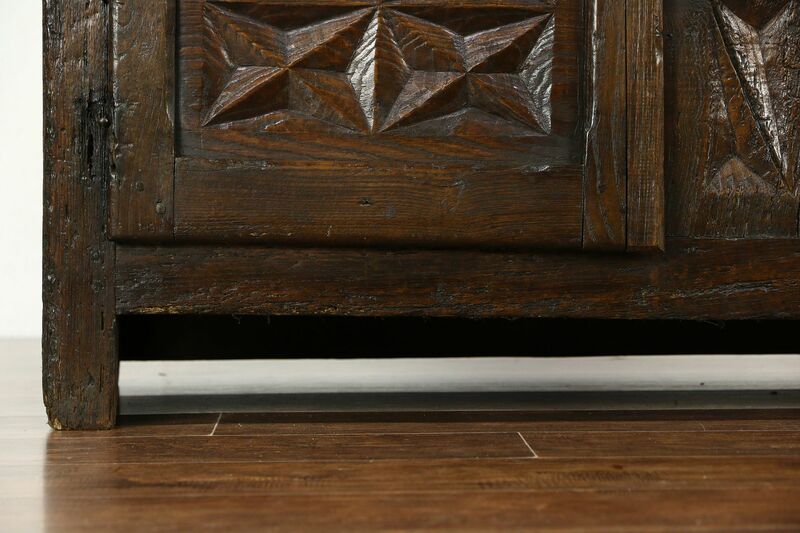 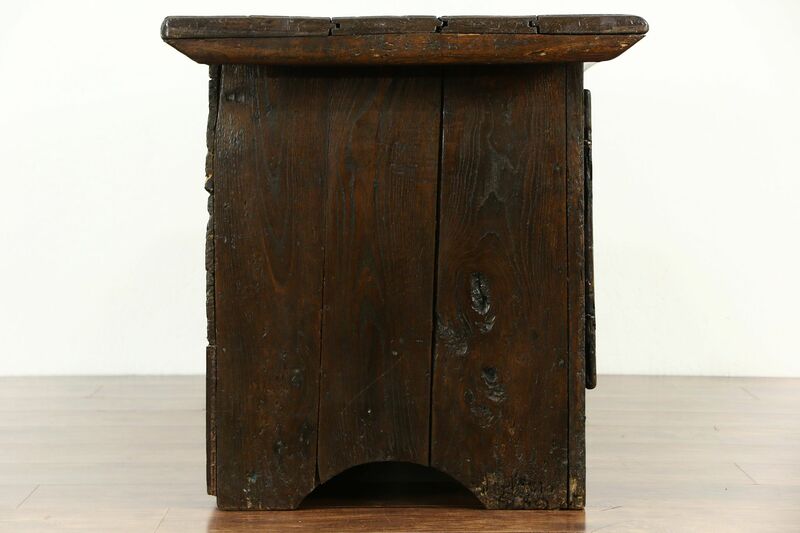 A country sideboard or server was hand hewn of solid wormy oak in the south of France during the later 1700's, and could be a wide TV console. 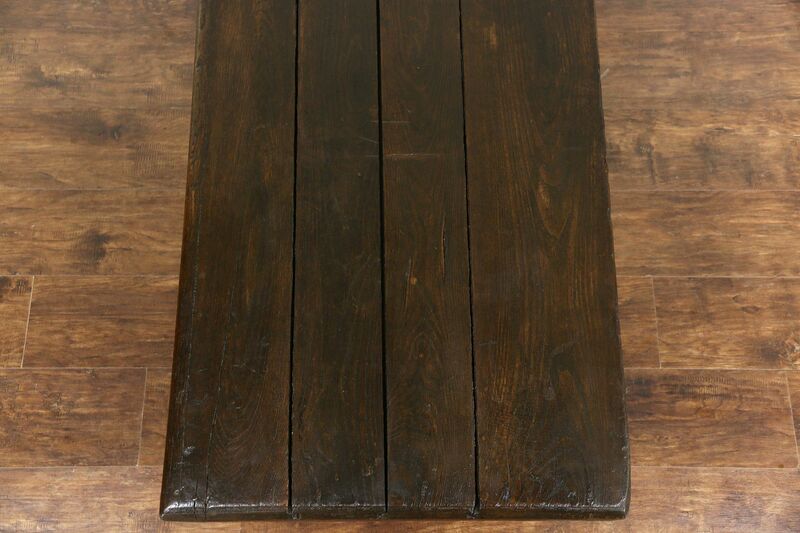 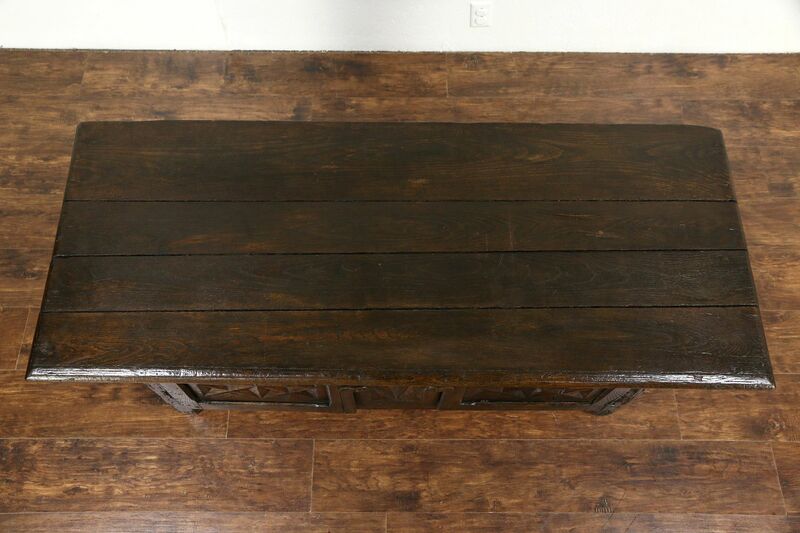 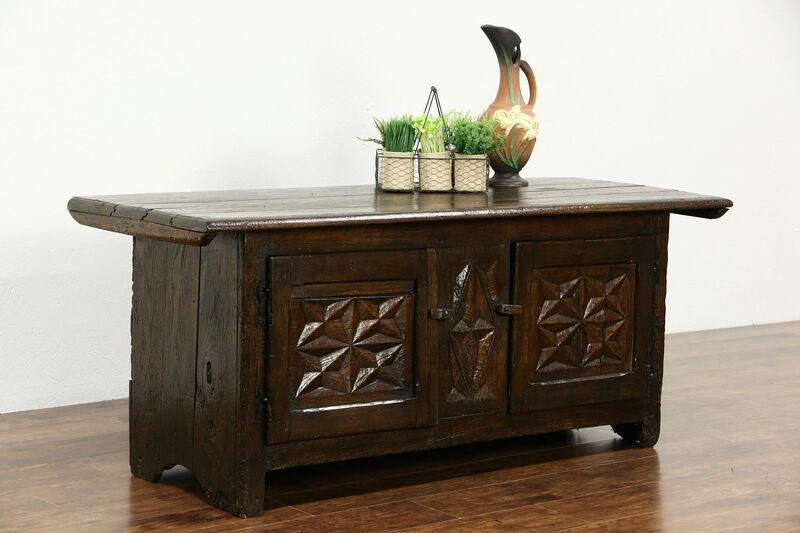 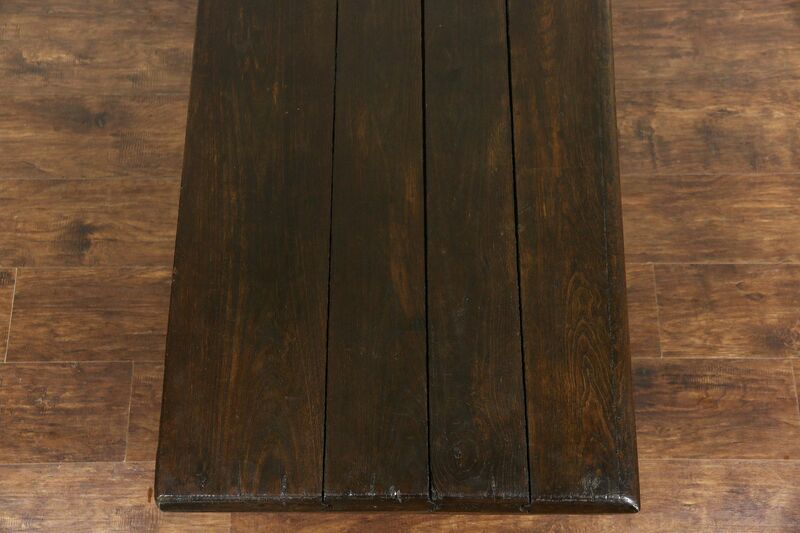 The top has been revarnished for durability, the base has a very fine old finish that has been waxed and buffed, so all that is needed to maintain the luster is an occasional wipe with a soft dry cloth. 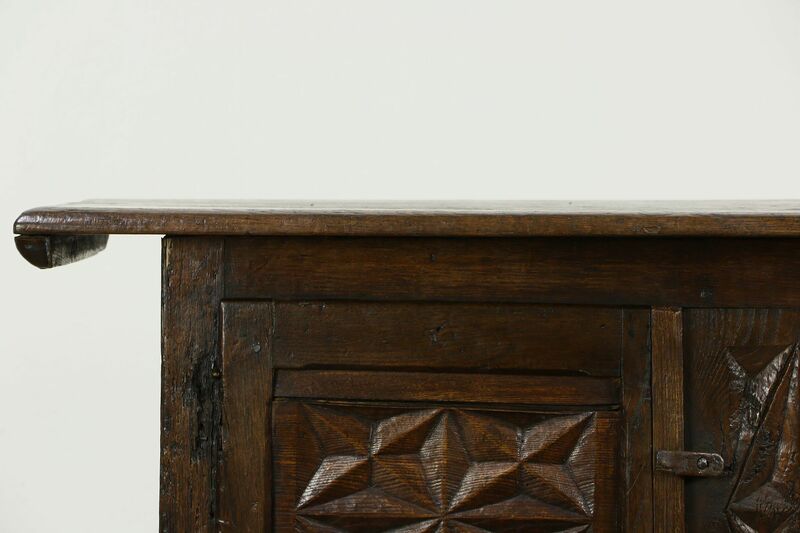 Every surface shows the marks from hand tools, faceted hand made iron nails are visible. 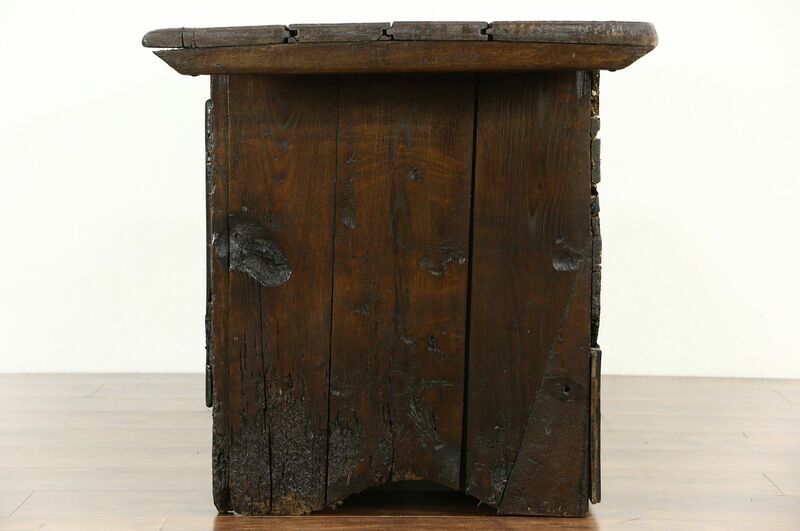 There are shrinkage separations and lots of wear and stains for antique character. 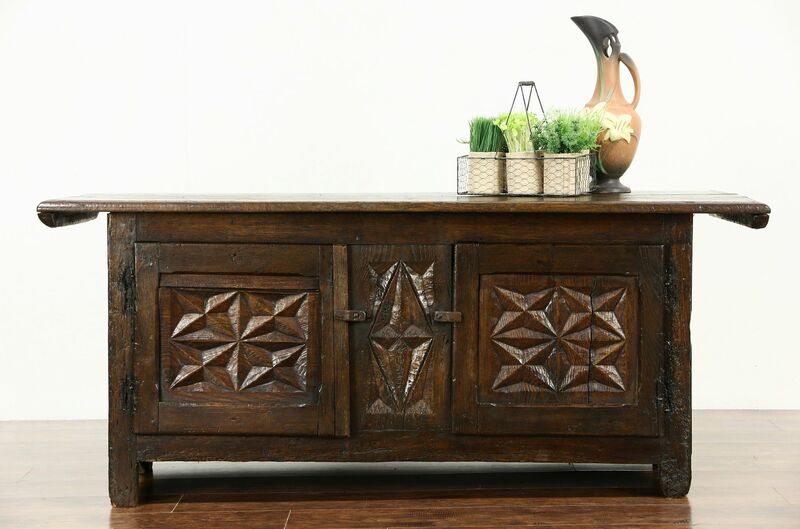 Doors have traditional carved folk designs. 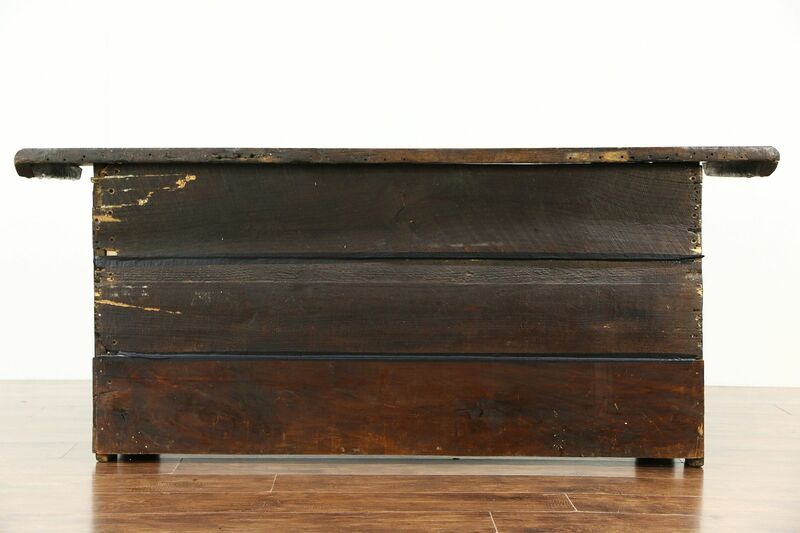 Measurements are 5' long, 24" deep and 26" tall.